The Zabrina is more than your average sandal! 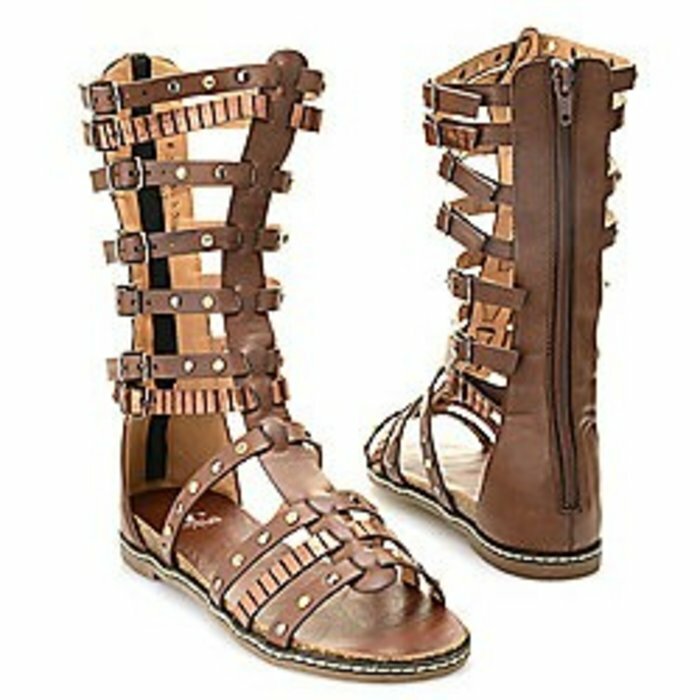 Stand out from the crowd as a gladiator goddess! 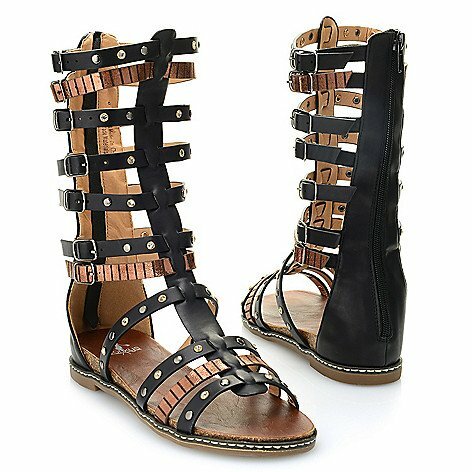 Shoe Details: Back Zipper Closure, Silver and Gold Embellishments, Buckle Details, Flat Gladiator Sandal, PU Faux Leather Upper, Mid-Calf, 1 Inch Heel Height, .5 Inch Platform Height. ALL SALES FINAL ON SALE/CLEARANCE ITEMS!!!! NO RETURNS - NO EXCHANGES!!! !